Rene is a passionate and enthusiastic business leader, with extensive knowledge and varied experience in engineering, business intelligence, strategic planning, operations effectiveness, and change management. Rene brings his executive and leadership experience from a number of senior leadership roles held in government, private sector, and educational institutions, with proven track record of adding value to organizations through his solid principles, integrity, and evidence-based decision making approach. His demonstrated ability to communicate clearly and honestly with people, and to be decisive when required, have earned him respect and trust from C-Level executives, peers, team members, customers, and students. Rene has successfully led numerous change initiatives and business improvement projects. His solid engineering and technical background, along with his experience in business strategy, people management, and marketing, have been instrumental in achieving results beyond the established strategic goals. 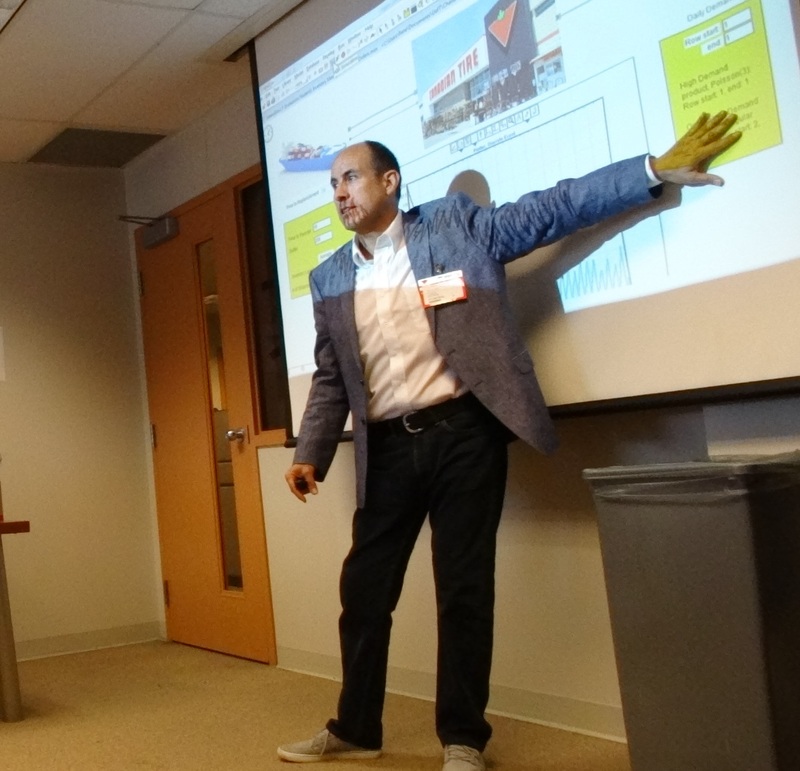 As an innovative entrepreneur, through his company SmartSimulation, Rene provides sound technical and business advice to a variety of companies resolving complex operational issues, improving productivity, and maximizing return on investments. Tànfani E., Testi A., Alvarez R. (2010), Operating room planning problem considering stochastic surgery durations. International Journal of Health Management and Information (IJHMI), Vol.1 No.2 2010. 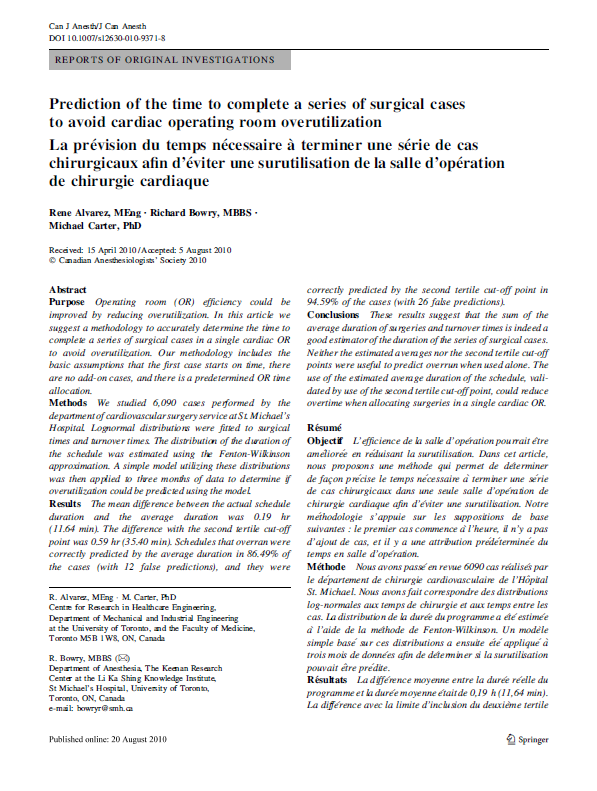 Alvarez R., Bowry R., Carter M. (2010), Prediction of the Time to Complete a Series of Surgical Cases to Avoid Cardiac Operating Room Over-utilization. Canadian Journal of Anesthesia 57:973-979, 2010. Alvarez R., Sandoval G., Carter M., Brown A. (2010), Allocating surgeries to a block time: a heuristic method to estimate the probability distribution of the total schedule duration by summing random surgical times. Proceedings of the XXXIV Operations Research applied to Health Services (ORAHS) July 2008, Toronto, Canada. Alvarez R, Sandoval G, Quijada S, Brown A. (2009), A simulation study to analyze the impact of different emergency physician shift structures in an emergency department. Proceedings of the 35th International Conference on Operational Research Applied to Health Services (ORAHS), July 12-17, 2009, Leuven, Belgium. Alvarez R. (2006), Energy: The solution is under our feet. Editorial article, La Segunda newspaper (Chile). Alvarez R. (1999), Is the coal a viable energetic resource? Journal of the Chilean Mining Engineering Institute. Alvarez R. (1995), Calibration of private transport networks: a comparison between the bi-level method and the Hooks & Jeeves method. Proceedings of the VII Chilean congress of transportation engineering (1995), Chile. Alvarez R. and Ortuzar J D. (1993) Subjective Value of Time for Persons with Disabilities. Proceedings of the VI Chilean congress of transportation engineering (1993), Chile. 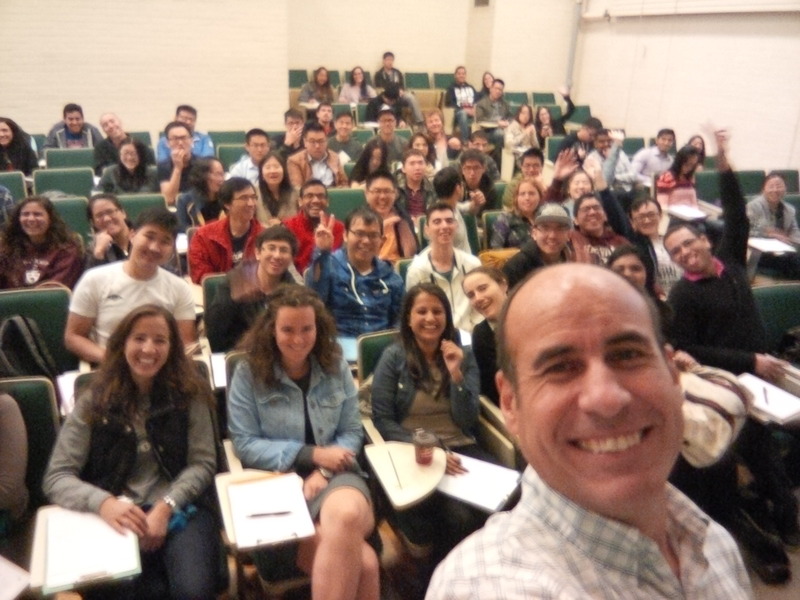 Through his passion, enthusiasm and ability to inspire, combined with his extensive experience in engineering, Rene has influenced younger generations of future engineers through teaching in prestigious universities in Canada and Chile. Taught modeling and computer simulation to mechanical and industrial engineering students in the Faculty of Applied Science and Engineering. 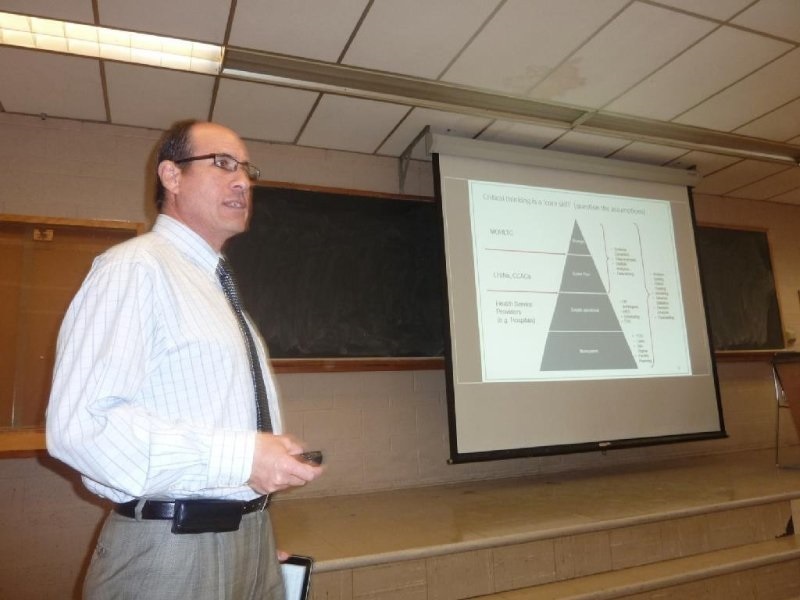 Taught courses in: Quality Improvement, Operations Research, Operations Management, Theory of Constraints, Statistical Process Control, Business Administration, Marketing, and Logistics. Rene has led strategic units to provide intelligence to senior leadership to enable the implementation of Ontario's digital agenda and strategic plan. 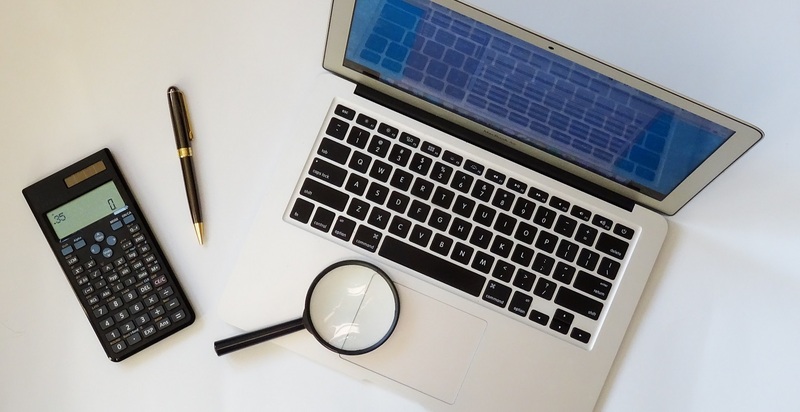 In addition to providing support to business transformation and continuous improvement projects, Rene led the provision of complex analyses, business forecasting, and a range of corporate and operational reporting and performance measurement services. 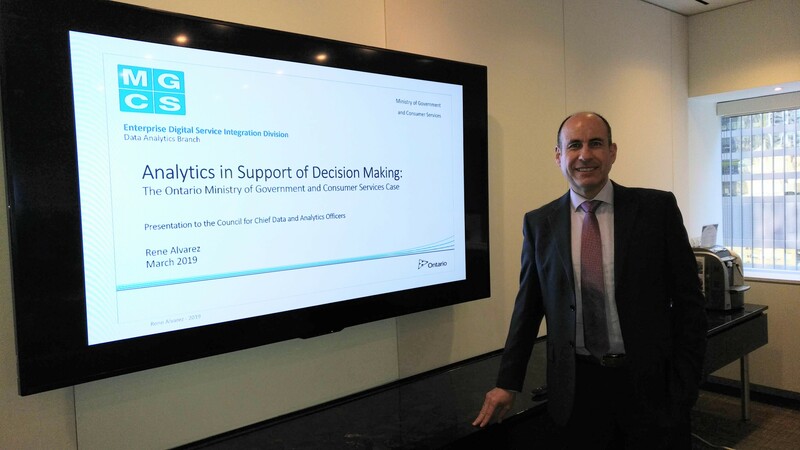 Rene led the provision of evidence based insights to the organization’s management in direct support of the Digital First strategy, contributing to the generation of ambitious goals to deliver better services to customers and achieve high impact operational efficiencies. 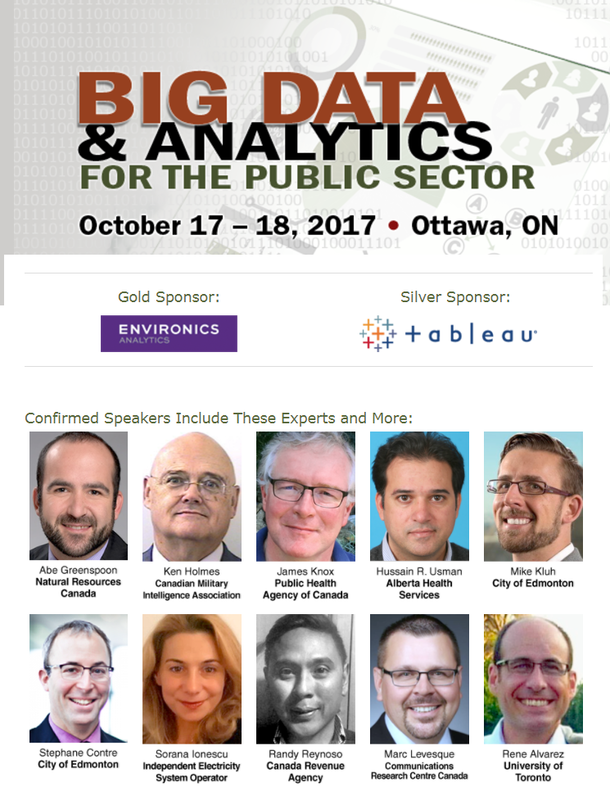 This was accomplished using state-of-the-art analytical methods and tools such as: Cognitive Artificial Intelligence, computer simulation, and advanced forecasting techniques to estimate the online uptake for a set of key applications, scenario modeling to estimate the overall ServiceOntario online uptake, and Inter-jurisdictional benchmarking analyses to learn best practices from world class leaders in e-Government service delivery. 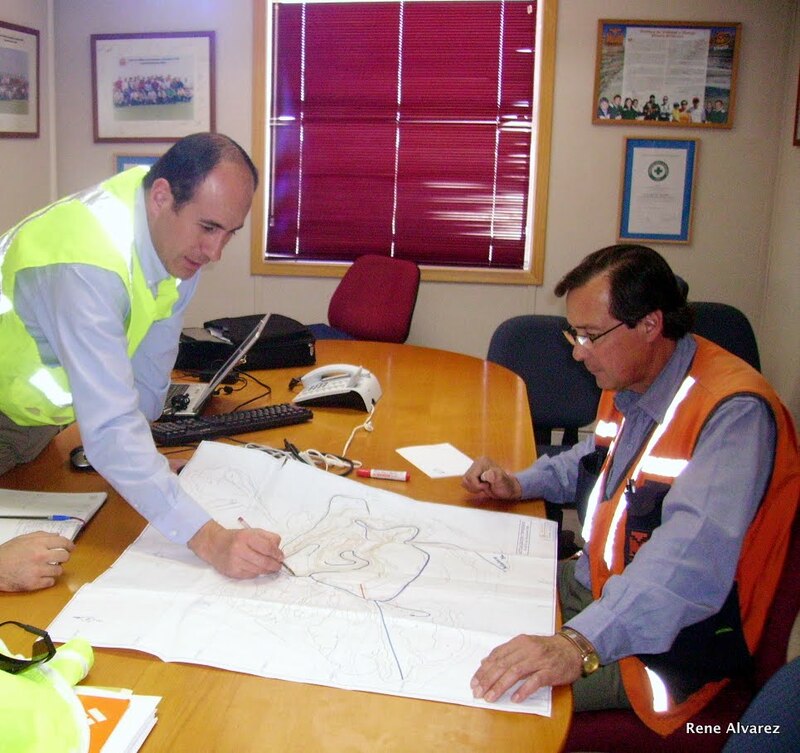 Rene led a multidisciplinary team of professionals that designed and managed the logistics and coal sales to the industrial sector in Chile. Under his leadership, coal sales grew by 500% in four years. Under his leadership, the market share of an important maritime company increased from 21% to 33% in just one year. 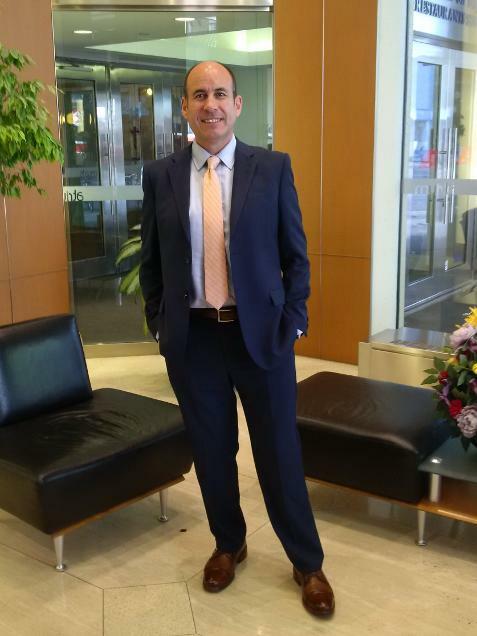 Rene led multiple company acquisition and investment processes in Latin America. As General Manager, Rene successfully reorganized the international operations of a manufacturing company. He led the negotiations to sell a Brazilian subsidiary to a local investor. Rene led complex government projects aimed to develop policy options to reduce the number of patients waiting for placement in the Ontario post-acute healthcare sector, and improve ambulance transportation in Ontario. 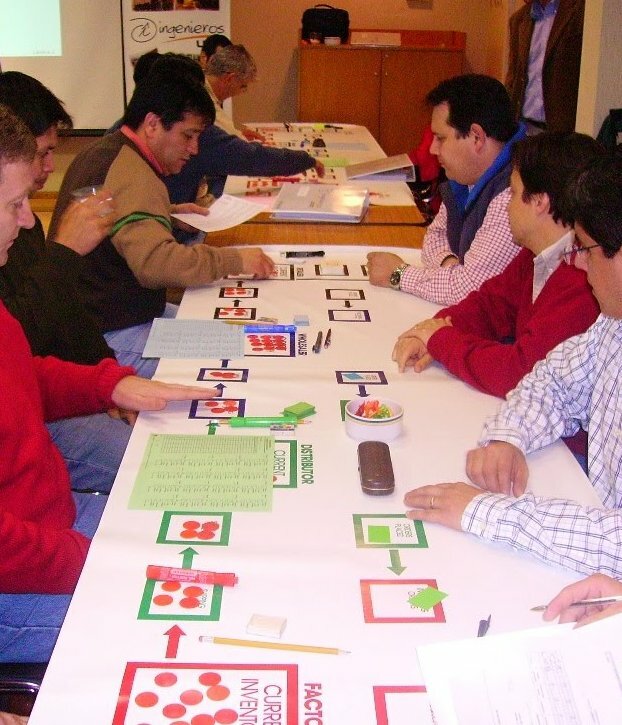 Rene led and coached multidisciplinary teams in complex process improvement projects in mining, healthcare, retail, forestry, and manufacturing industries. 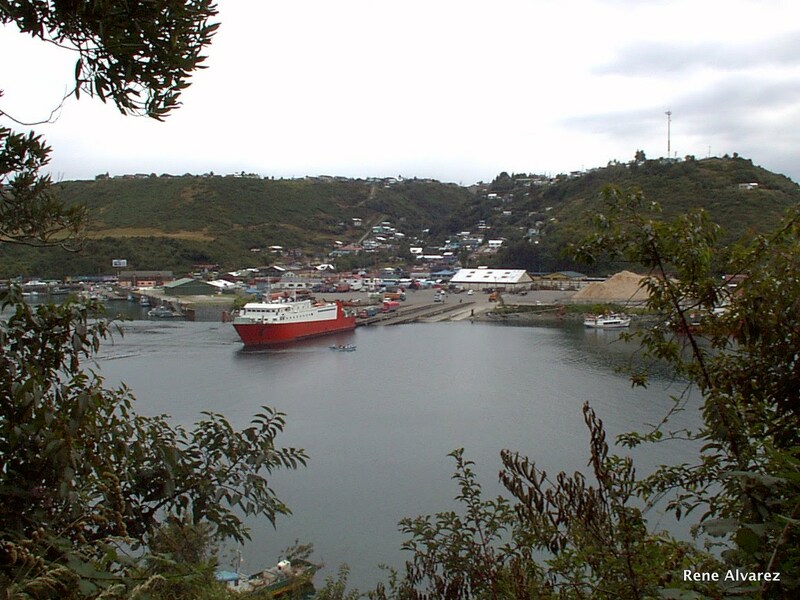 Rene led the negotiations with the Norwegian company Hurtigruten to establish a joint-venture to operate cruises from Patagonia to the Antarctica. 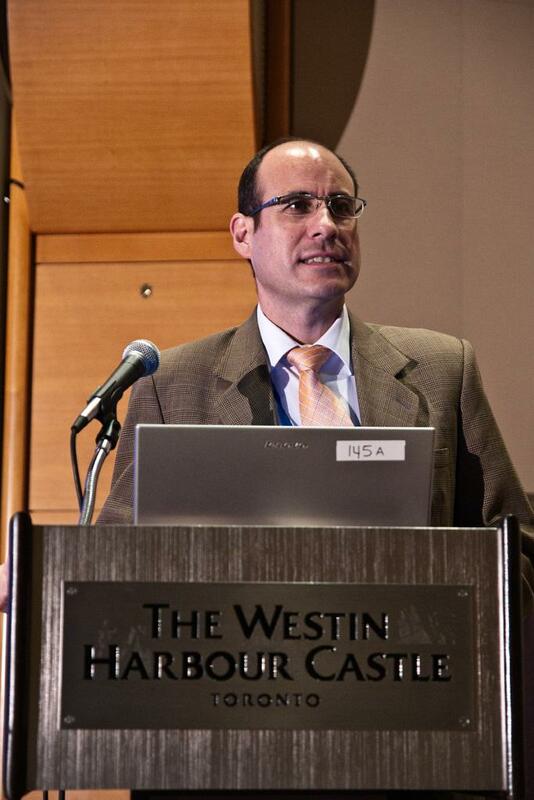 Rene led a number of engineering projects for the Chilean Government (e.g: computer simulation model to improve maritime transportation services, impact of the economic growth in the maritime transportation system, design of a new method to calibrate transportation networks in urban simulation models, evaluation of urban transportation plans in large cities). As a computer simulation expert, he developed innovative computer simulation models for capacity planning in mining, transportation, and healthcare industries. Rene led a number of engineering projects for important healthcare organizations (e.g. bed capacity planning in a major teaching hospital, operating room scheduling for large hospitals in Canada and Chile). 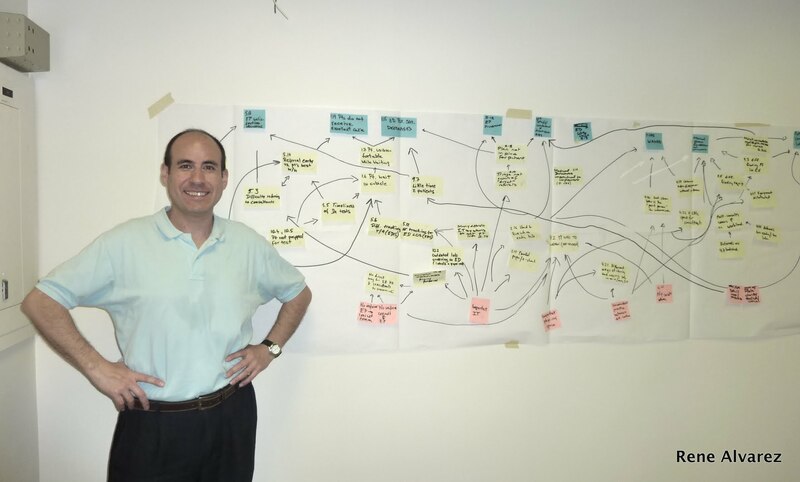 As a system dynamics expert, Rene developed the Government of Ontario’s technical specifications for the University of Toronto’s Simulation Model of the Ontario Health System project. 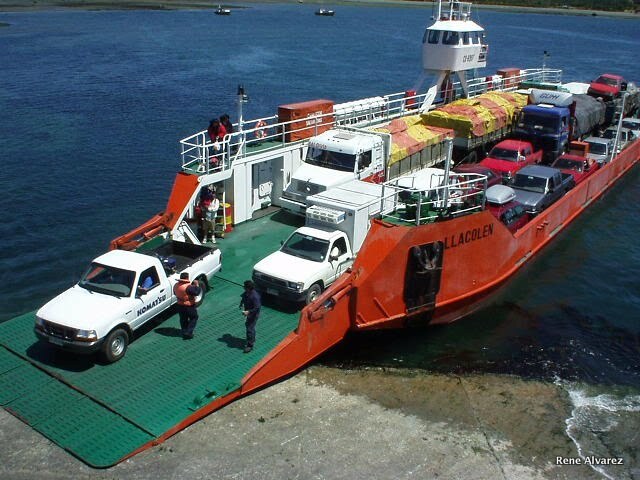 As a Consultant in transportation and logistics, he demonstrated that no additional investments in port infrastructure was necessary to improve the flow in the most important maritime route in Chile. Rene proposed a simple but effective modification to the schedule, which saved millions to the taxpayers and dramatically improved service standards. 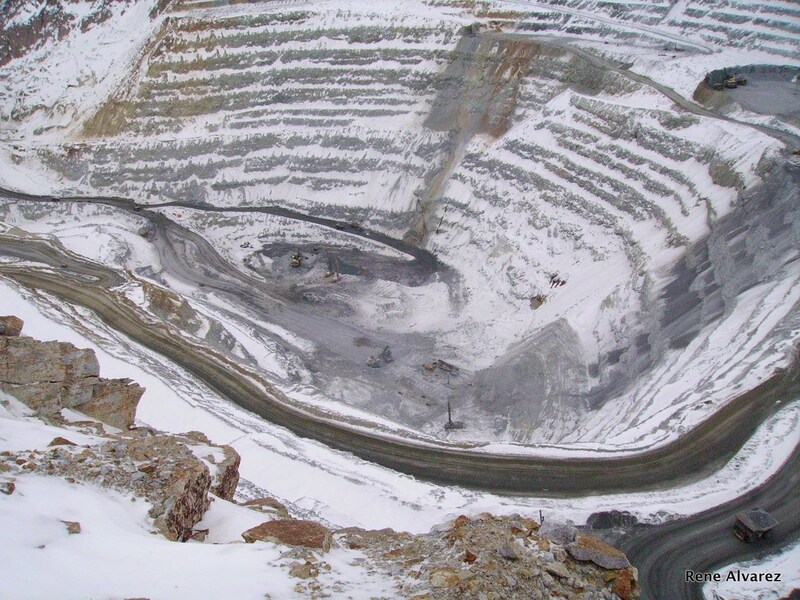 As a Consultant in mining operations, he demonstrated that the capacity of the crusher (rather than the design of the transportation network) was the real ‘bottleneck’ in a large copper mine. As Patient Flow Redesign Specialist, he developed the problem solving and process improvement methodologies used to reduce wait times at the Emergency Department of St. Michael’s Hospital. As a result, the number of patients waiting more than 24 hours was reduced from an average of 80 per week to an average of 4. Due to this achievement, the hospital was awarded first place award at the 2009 HealthAchieve conference for innovations in healthcare, and first prize 2011 Ontario 3M Health Care Quality Team Awards. 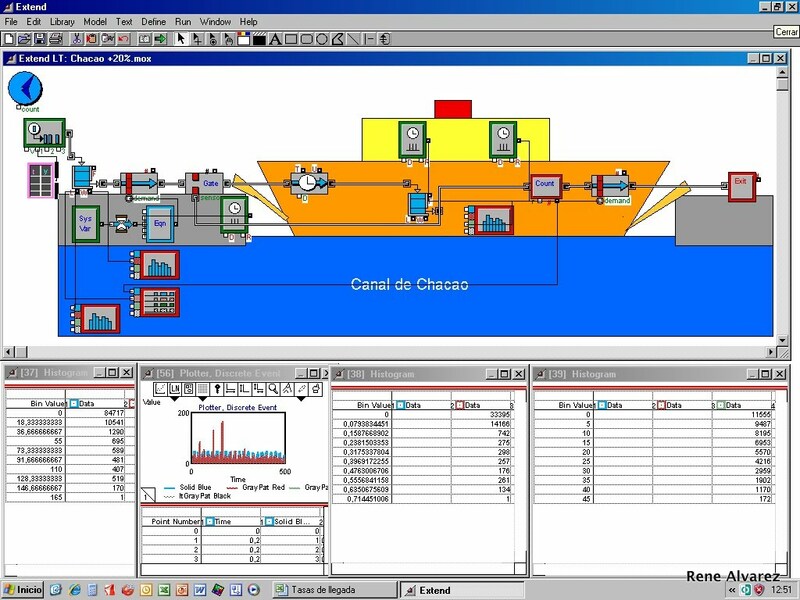 As General Manager of a maritime transportation company, Rene identified the value contribution of the different lines of business and strategically re-deployed resources to improve the strategic position of the company. As a result, the company generated profits after many years of continuous losses. As General Manager of different companies, Rene successfully led multiple strategic planning processes. Rene identified innovative strategies to address the Ontario’s priorities for the health care system, including innovative strategies for increasing the Ontario’s hospital bed capacity by reducing non-acute days. 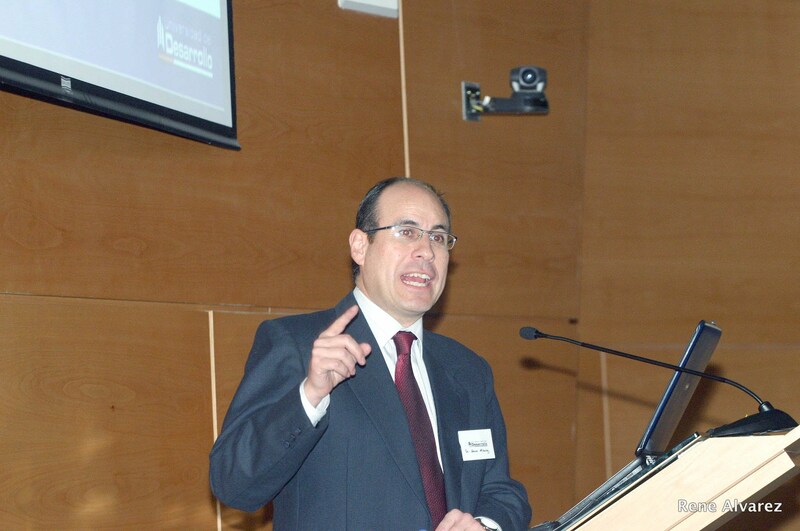 Rene was a key member of the team that developed the strategy map and balanced scorecard for the Ontario government’s Aging at Home initiative (total funding of $1.1 B). Rene presented his research to undergraduate and graduate students at the University of Toronto’s Faculty of Applied Science and Engineering, as well at international conferences in North America, South America, and Europe. Rene successfully negotiated with international coal suppliers, logistics service providers, contractors, and customers to establish a new line of business of coal distribution to the industrial sector. As a result, the company’s market share in this new line of business reached 90% in only four years (70 pp increase). 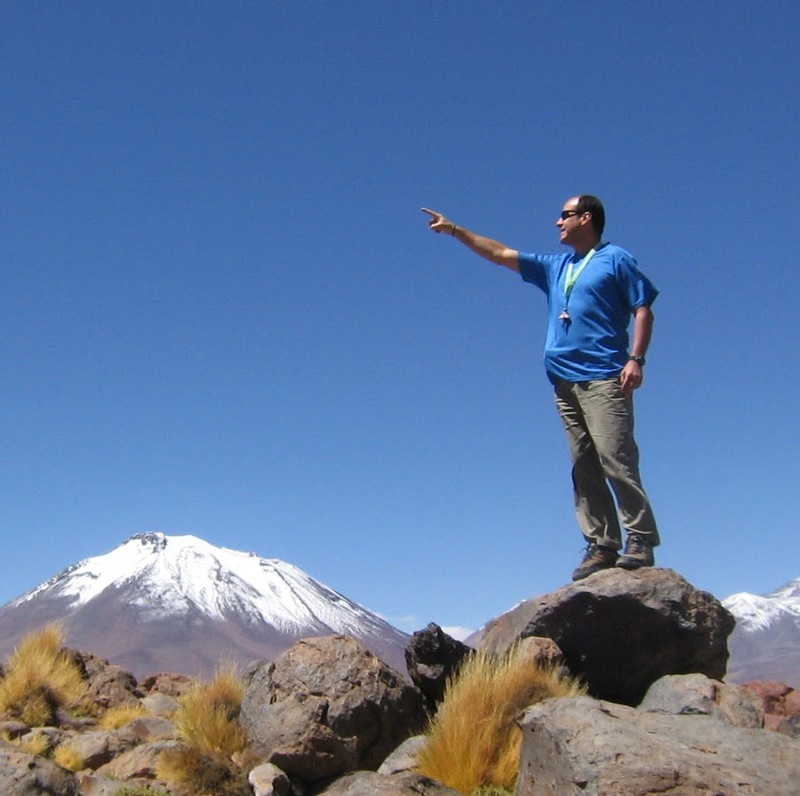 Rene was ranked by undergraduate and graduate students among the top professors in the Faculty of Engineering for four consecutive years (Chile). As General Manager of a company of 500+ professionals in the maritime transportation industry, Rene successfully managed negotiations and conflicts involving unions.